The announcement of a new canon 400mm lens at Photokina 2014 was not a huge surprise to Canon camera fans. Rumors had been circulating for quite some time. 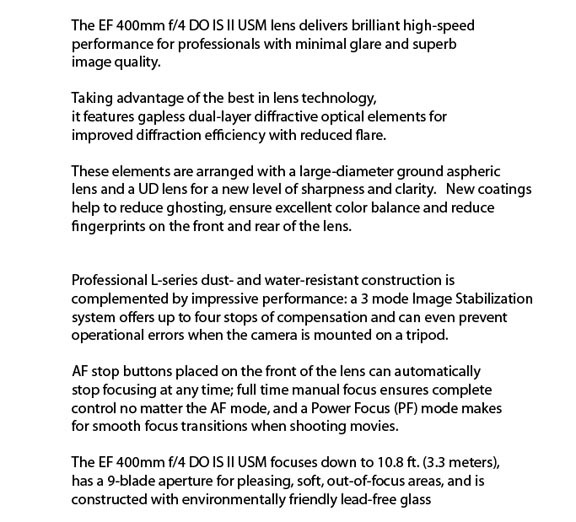 The new lens is the EF 400mm DO IS II USM which is the upgrade from the original EF 400mm DO IS USM. The DO stands for diffractive optical, which essentially means great quality combined with small and light. 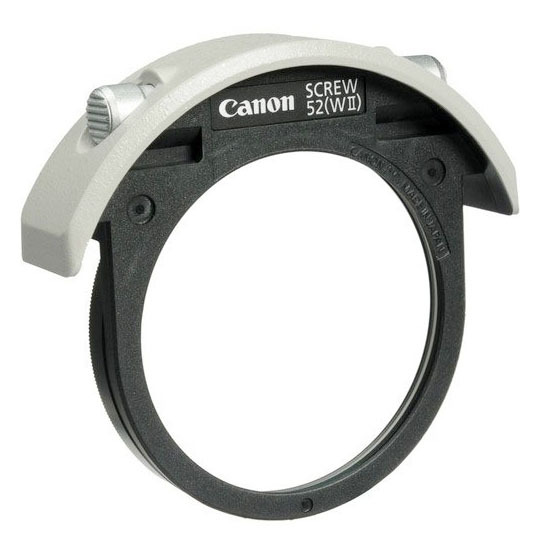 Notice it has the green colored ring on the barrel and it is more affordable than the "L" Canon lenses. The close-up photo below show the 3-position stabilizer mode selector, the IS on-off switch, the focus preset set button, the focus preset on-off sound selector, the 3-position focus selector and minimum auto-focus distance selector. The sophisticated features of the new Canon EF 400mm DO IS II USM require a bit of study to fully understand how and when to use its various features. The EF 400mm f/4 DO IS II USM is being marketed as a “portable super telephoto lens,” The chief design goal with this Canon lens was keeping it as light as possible. Compared to the 400mm f/2.8L II, this second version of the 400mm f/4 feels really light in your hands as it weighs about only half as much. It claims up to four stops of image stabilization because of Canon’s OIS technology. The lens features the newly engineered technology of gap-less dual-layered diffractive optical (DO) elements. That helps achieve optical performance while keeping the same size and weight of the earlier version of this lens and have the optical improvements to set it apart from the older 400mm f/4. 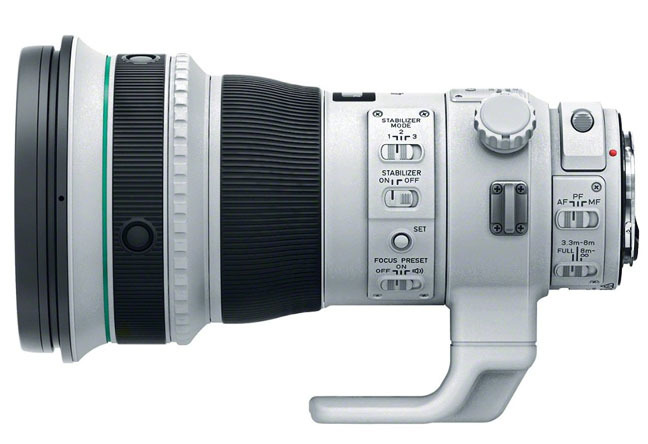 Read consumer reviews of the Canon 400mm lens here. 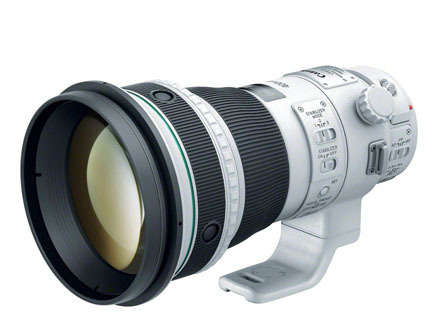 Relatively lightweight for a 400mm super telephoto - good for sports and wildlife. AF-Stop buttons to stop auto focus at any time and focus pre-sets for quick changes. 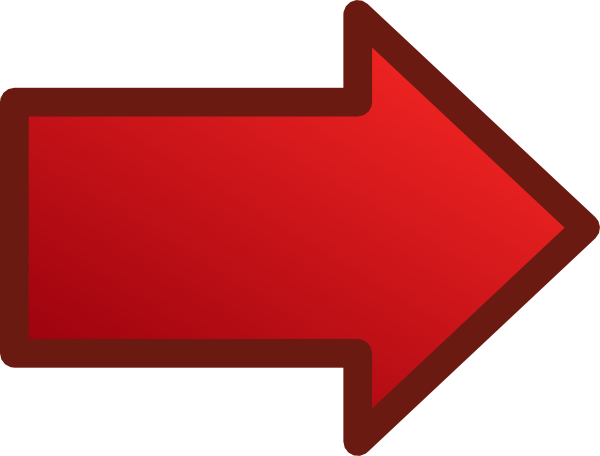 Power Focus mode for smooth focus shift for video and full-time manual focus while in auto-focus mode. Relatively affordable compared to 400mm f/2.8 Lenses. Unlike the much more affordable Canon 400 f/5/6 lens that I use, this version is FULLY compatible with the 1.4x and 2.0X Lens extenders. These prices are rounded off and change over time, but you can make your own personal judgement based on the comparisons. I own the 400mm f/5.6, which is the slowest at f5/6, but it's the lightest to carry, it was the most affordable for me, and it is really sharp wide open at f/5.6. Inner focusing system with a USM, ultrasonic motor. Filter is 52mm, drop in type. Minimum focus distance is 10.83 feet. My final comments on the new canon 400mm lens. Some photographers rave about the importance of the extra f-stop for getting great bokeh. You still get great bokeh at f/4. I've said this before and it's true at the 200mm level, when comparing the Canon 20-200mm f/2/8 vs the Canon 70-200mm f/4. 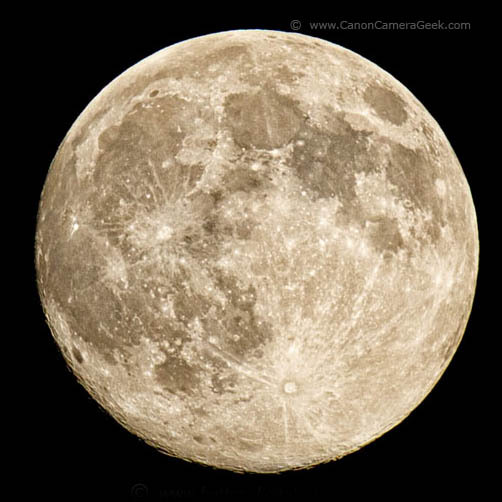 At 400mm, you have very shallow depth of field and it falls off quickly with this much magnification. The only really advantage of the f/2.8 over the f/4 is in low light situations. If you have a recently made Canon, you've got exceptionally good performance at higher ISO settings,making that need of one extra stop of "fastness" less important. The new EF 400mm lens is an advanced Canon camera accessory for those discerning digital photographers who want to use state of the art camera gear and who can afford serious photography equipment. Most importantly, keep your passion alive for enjoying photography. Don't get too bogged down with number comparisons (except price perhaps). Click to enlarge this photo showing the pre-focus buttons.